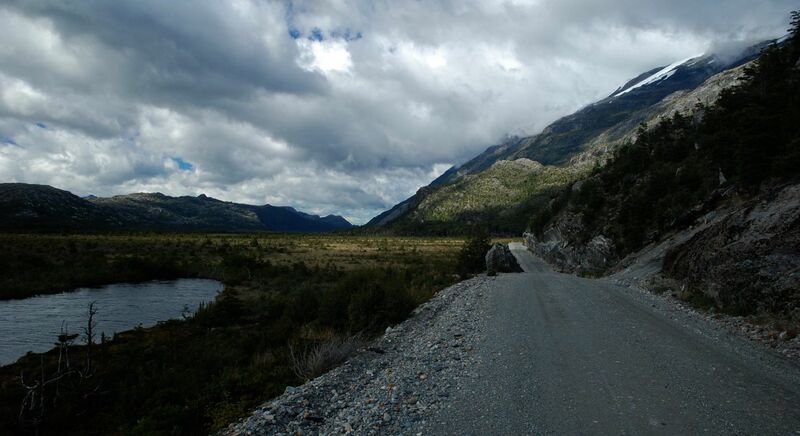 Pinochet’s 1980s effort to link fjord and mountain divided communities far from the hub of Santiago – the Carretera Austral – is a prominent cycle touring destination. With west-coast southern ocean weather and vegetation not dissimilar to Tasmania or New Zealand it has turned out to be a striking home-coming for us. 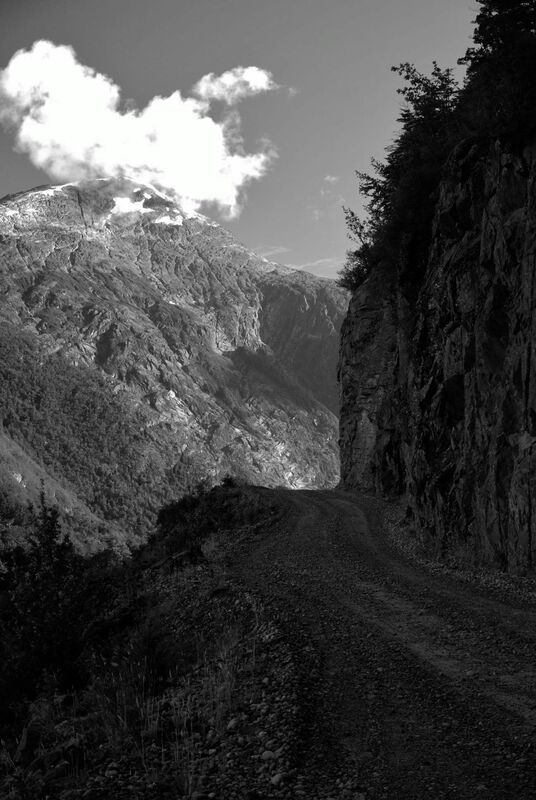 Although the road has its share of steepness, these sections prove short-lived. We’d hoped that we could just ride and enjoy as we tried to work our minds around the impending transition and journey-ending. With a sense of resignation, it soon became apparent that this wasn’t to be. 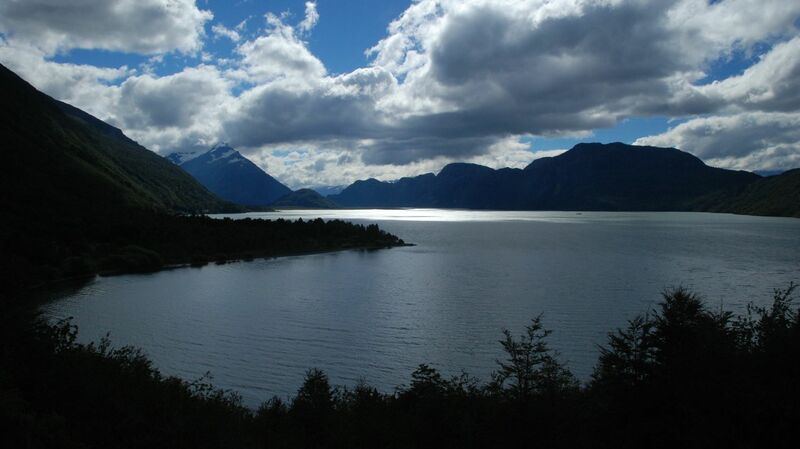 The region of Aysén that is linked longitudinally by our route has a strong sense of local identity and separation from the more populous areas of central Chile. In a situation mirroring that of Scotland, they could be said to be Patagonian before they are Chilean. A few days before we arrived, protests have begun against the higher prices of fuel and food in the region. 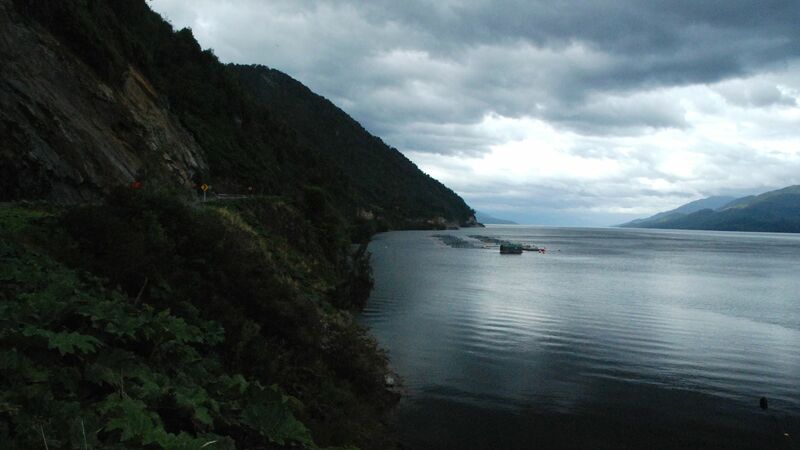 Prompted by the fishermen in Puerto Aysén and quickly spreading to most other industries and services, road blocks stopping movement of lorries and limiting travel sprang up at every town. Thus, as we progressed southwards towards Coihaique, the large town at the midpoint of the Carretera, the effects of this became increasingly marked. What started as a paucity of fresh vegetables in the north along with an absence of available fuel from petrol stations, culminated in eerie mostly empty shops sporting ‘No Hay Pan’ (no bread here). Apart from the absence of bread, petrol and vegetables, the blocks had a curiously beneficial effect for us – the almost complete lack of traffic! Instead of the frequent traffic we’d been warned about as we headed through the northern half of the Carretera, we saw fewer than 5 vehicles a day in some parts. 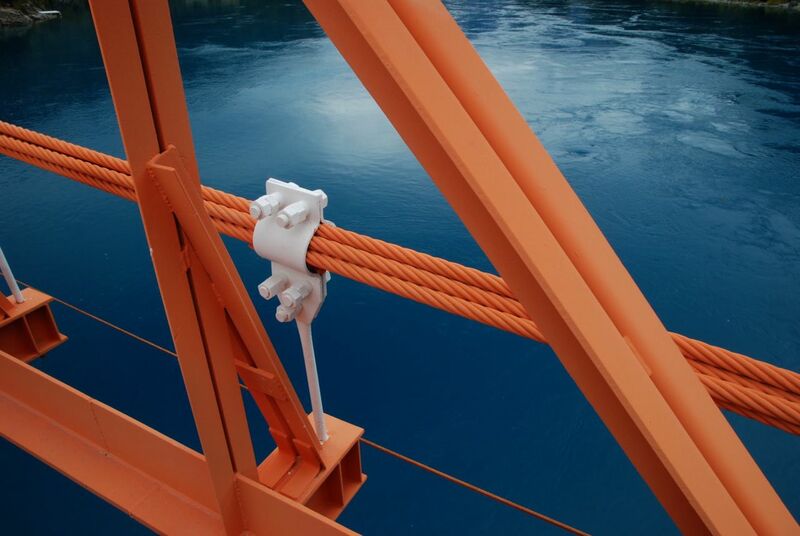 The Carretera Austral weaves its way through a region laced with fjords and lakes. Open to the southern ocean, and it’s weather, it is also an appealing destination for a future sea kayaking trip. 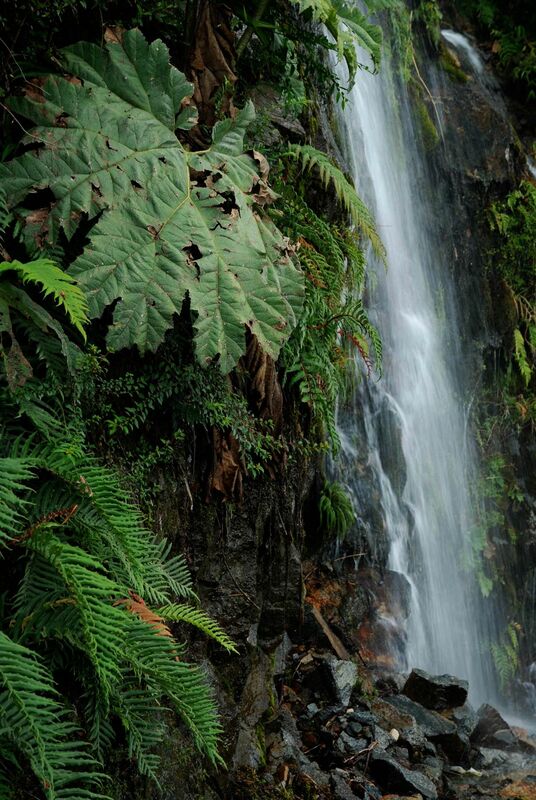 There is water everywhere and a lushness that extends vertically from the road-side. Sparked by the Puerto Aysén fishermen protesting at jacked-up fuel prices in the region, these road-blocks prevent passage of fuel and food. There is a near complete solidarity – placards with “Aysén – tu problema es mi problema” abound, along with black flags on most vehicles. They let us through. 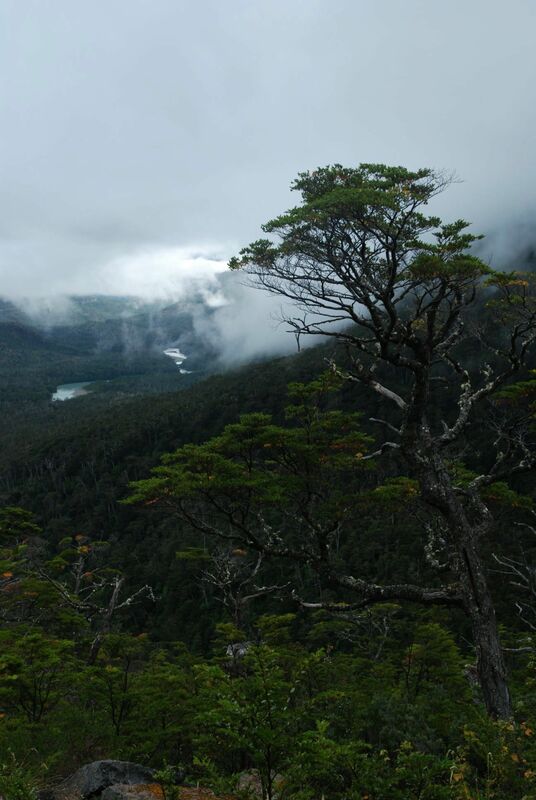 South and north of Puyuhuapi (and a great early-mark hosteria), straddling glacier-laden mountains is Parque Nacional Queulat. We only managed glimpses of the peaks through fleeting cloud thinnings. Throughout this trip we’ve been bowled over by the hospitality and sheer generosity of those who take an interest in the travelling cyclist via either the Casa de Ciclista list or warmshower.org. 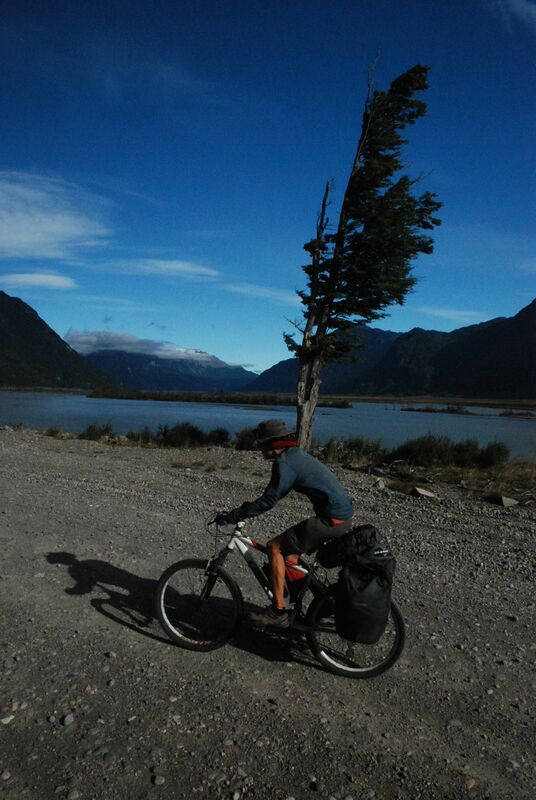 Jorgé, in Mañihuales, a day north of Coihaique has upwards of 10 cyclist a night stay in his multi-use house. Passing through in quieter times, outside the main January/February peak, we were welcomed with warm greetings despite having to wheel our bicycles through the church service being held in the front room. A well-equipped touring bike hanging from the wall attests to his interest. 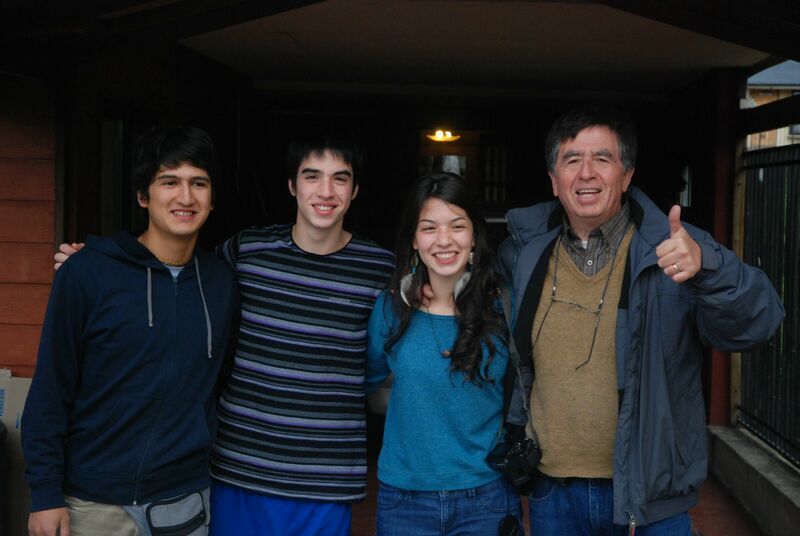 Our hosts in Coihaique overwhelmed us in more than equal measure. Oscar, Shayen, Diego and Ronaldo demonstrated in humbling intensity how we would like to look after stray cyclists in the future. Team Angulo-Sepulreda – not phased when 4 instead of 2 cyclists turned up on their doorstep when pretty much no food was to be had in Coihaique. ¡Muchicimas Gracias por todo! Sarah managed, yet again, to get her bike fixed with only a half-day delay. 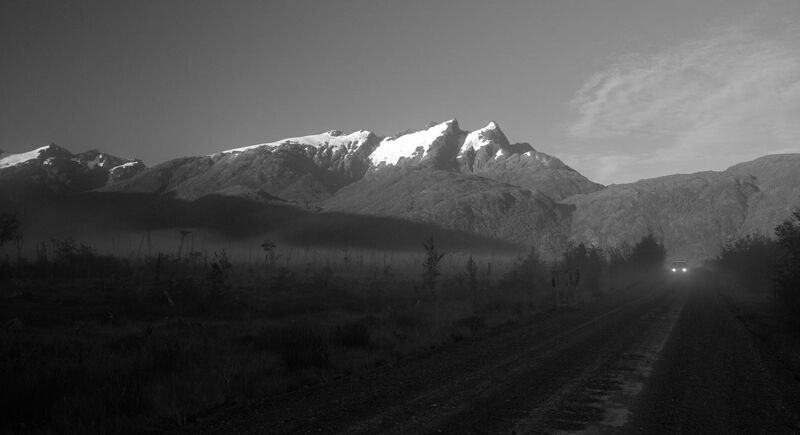 100km south of Coihaique got us back onto ripio, and we were graced with glorious weather to boot. Mind you, when the going is westward, life gets pretty breezy! 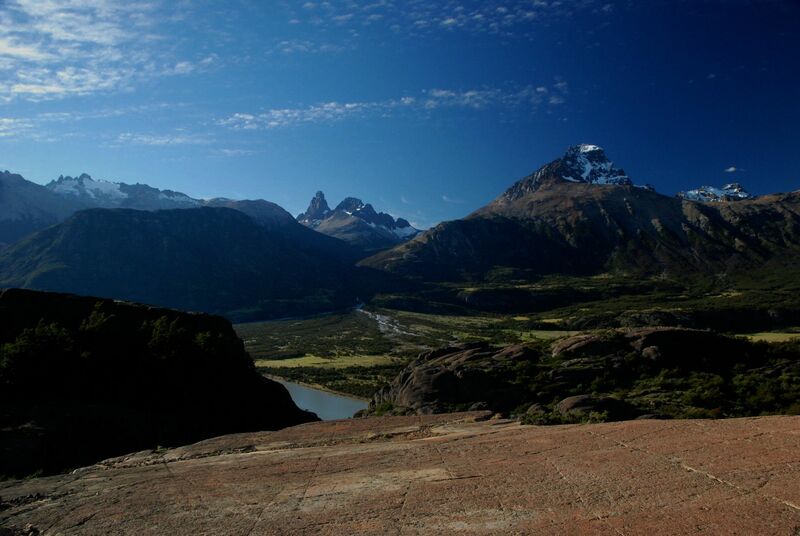 Overshadowed, but ever-present, the other issue in Chilean Patagonia is the potential construction of 5 dams by HydroAysen. Our route is littered by enormous billboards pushing one view or another – this one against. The pro-brigade claim that the locals want them, but interfering Santiago pretends to know better. 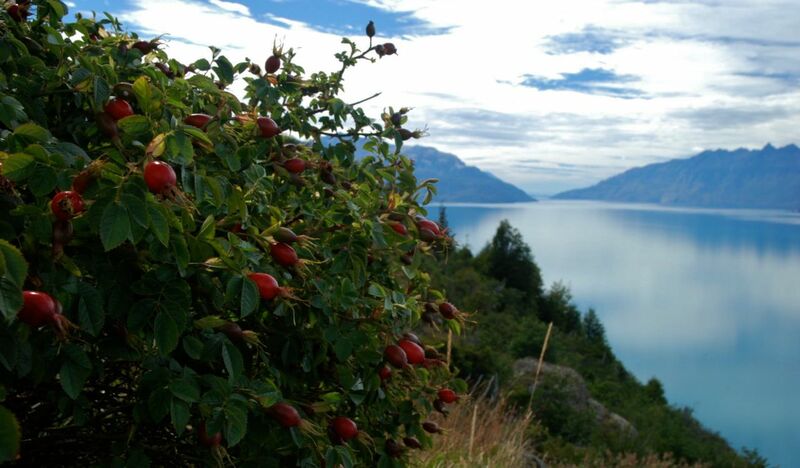 We’ve missed the season, which must have been spectacular as the sheer number of rosehips attest. 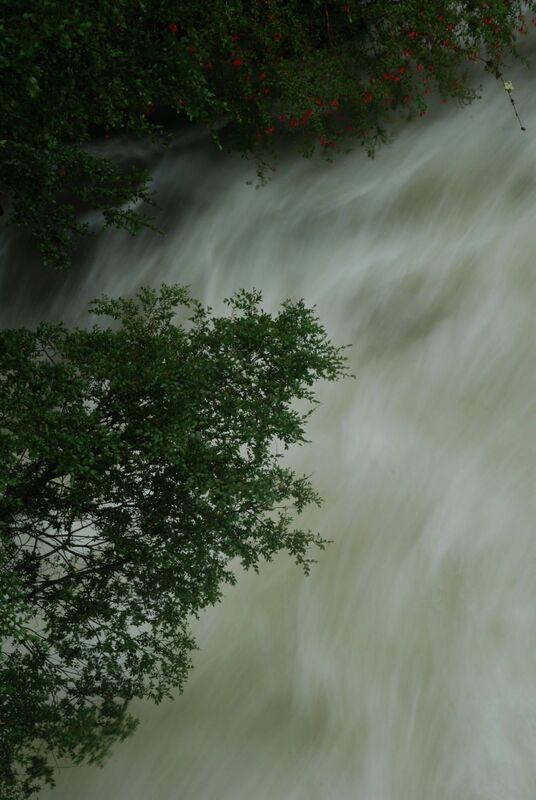 In contrast to parts of the northern Carretera Austral where the going was more rural-tended, we’re now thoroughly in frontier territory – that with wild weather and more. 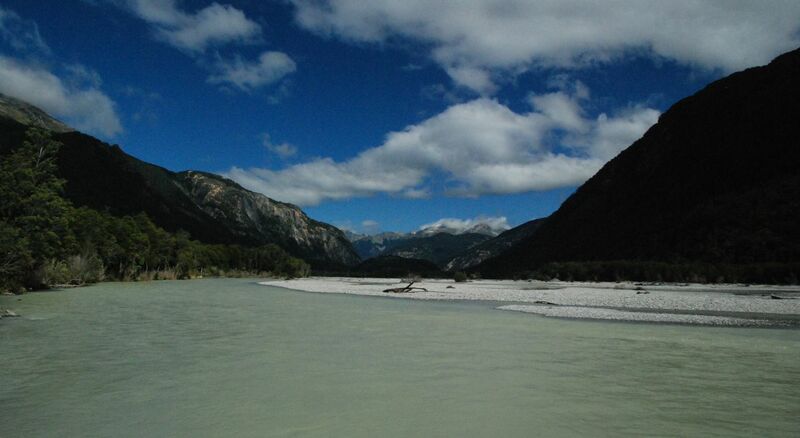 The outflow into Rio Baker a pure dark turquoise shaded by glacial melt – salmon pink bridges contrast. Our ferry, until today daily due to protest induced fuel shortages, turns out to be back to thrice. We are nearly stranded to wait for the next at Puerto Yungay when I arrive 2 minutes late (but 2 hours early for when we thought it was scheduled). They spot me and turn back. Fast lake-side progress - not keen to stop long as more than a 10 second pause attracts a storm of slow moving but persistent mosquitos. Lunch is gobbled clad in clothing layers such that only eyes and mouths are exposed. 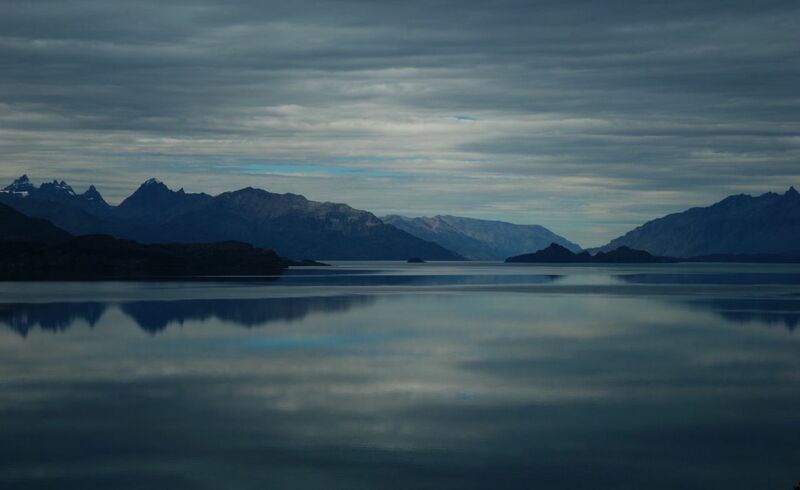 Lago Cisnes – nearly there. 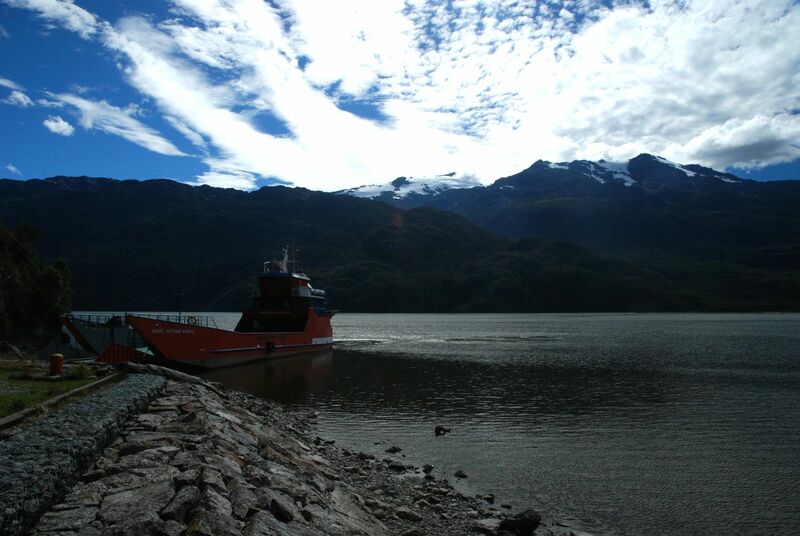 In Villa O’Higgins we confirm that the main Hielo-Sur tour boat is not going (fuel and a lack of tourists), meaning we’re on the hunt for ‘a man with a boat’. 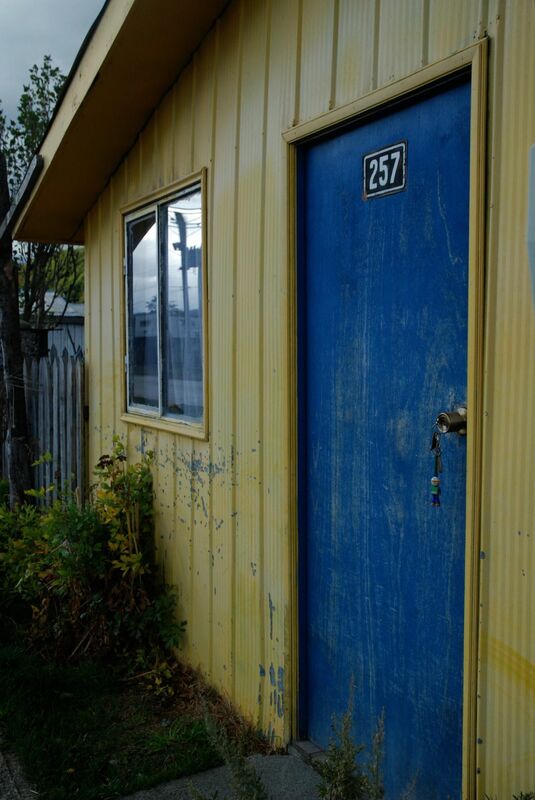 We do the rounds of doors – following one lead after another. With luck (some more cyclists, good weather and enough fuel) we’ll be heading south as planned in a couple of days. Either way, our plan B is also confirmed by the local police as possible, It is an attractively un-used small dirt road and a bicycle/pedestrian only river crossing to Paso Rio Mayer. Unfortunately this would not pass Cerro Fitzroy and other iconic rock peaks from my climbing magazine fueled dreams.